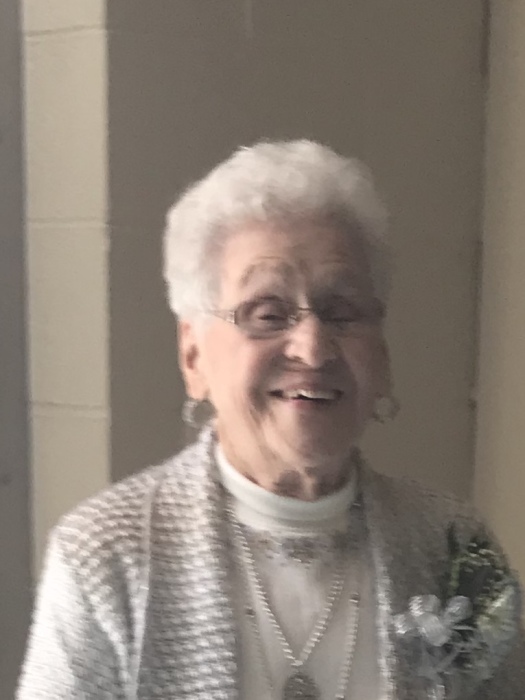 Barbara L. Myers, 91, of Hopewell, died at 9:40 P.M. Saturday March 16, 2019 at Genesis Hospice-Morrison House, Zanesville. She was born January 3, 1928, in Zanesville, a daughter of the late Frederick “Fritz” and Beulah Simmons Eck. She was a Registered Nurse, and a member of First Christian Church which she loved. Barbara enjoyed cooking, gardening and yard work. Surviving are five children, Peggy (John) Moon, Fritzi ( Mike) Gibson, Donald Myers, Matthew Myers and Mark (Renee) Myers; twelve grandchildren, Jared Moon, Ryan Moon, Chad Gibson, Aimee Beardmore, Zachary Myers, Lane Myers, Misty Dawn Johnson, Stephen Myers, Seth Myers, Shawn Myers, Megan Johnson and Melissa Myers; fifteen great grandchildren and three special cousins, Mashon (Steven) Prater, Trevor Barlow and Tracey (Lauri) Barlow. In addition to her parents, she was preceded in death by her loving husband, Warren G. Myers and two brothers, Freddy and Donald. Friends and family may call from 4:00 P.M. to 8:00 P.M. Tuesday, March 19, 2019 at BOLIN-DIERKES FUNERAL HOME, 1271 BLUE AVENUE, ZANESVILLE where services will be held at 11:00 A.M. Wednesday, March 20, 2019 at the funeral home with Pastor Dawn Remster officiating. She will be laid to rest beside her husband Warren at Zanesville Memorial Park Cemetery, Zanesville. To send a note of condolence, order flowers or comfort food, visit: www.bolin-dierkesfuneralhome.com, follow us on Facebook or call our professional staff at 740-452-4551.